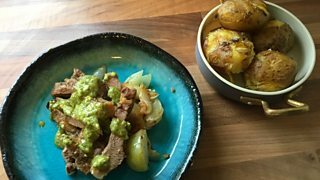 Paula is barbecuing lamb, mint and pistachio sauce, with yummy punched potatoes. All the Stations - "We're just trying to inspire people." Geoff Marshall & Vicki Pipe on travelling to every train station in the UK & Ireland. Ian McMillan - "Going to West Belfast was like going to a foreign country!" 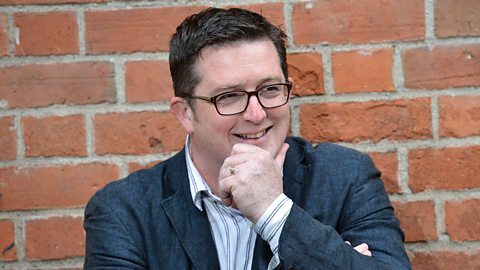 After winning a prize for a story in Irish, Ian tells John about his love of languages. Phoebs Lyle - "I still forgive you." Darcy Connor & Evan Keating of The Apollo Arts, duet on 'All I Care About’ from Chicago.